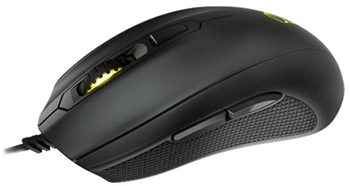 The Mionix Castor MNX-01-25001-G is an ergonomic mouse developed by the well-respected Swedish manufacturer of high-performance gaming accessories. It was designed specifically to be used by right-handed gamers and features state-of-the-art hardware that guarantees top-tier performance. 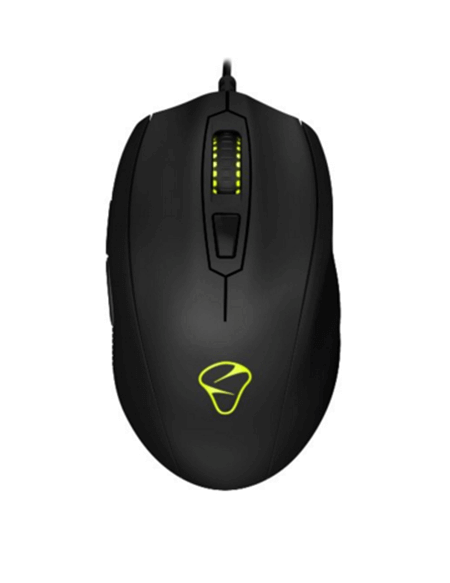 This mouse is best suited for people with fairly large hands, as it easily accommodates both the claw grip and the palm-style grip. Users with smaller hands will still have a great time using this mouse, but the number of possible grips decreases. One thing that definitely deserves praise about this optical mouse is the fantastic rubber coating. 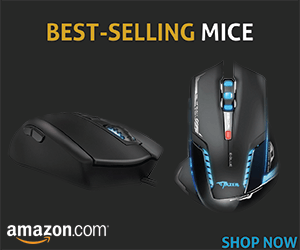 Not only does it help to increase your accuracy, but it also has anti-sweat properties, which make your hands stay dry even in the heat of battle.The Mionix Castor MNX-01-25001-G gaming mouse features a total of six programmable buttons, with the state-of-the-art mechanical switches. We have to say that their action is among the best we ever tested. It feels snappy, precise, and gives a very distinct mechanical feedback that you just don’t get with some other mice out there. This feeling is further emphasized by the PMW-3310 gaming optical sensor. It has no positive or negative acceleration and sports a maximum speed of 5.45m/Sec. Users can adjust the DPI up to 10,000, and the built-in memory can hold 5 profiles – enough to accommodate a player for various game genres and styles. The overall premium quality can also be found in the braided cable housing. The cable is lightweight, low-resistance, and generally stays out of your way, just like you would expect from a professional-grade gaming mouse. The Castor is also fitted with the Mionix AURORA lighting system. The RGB LED lighting can be fully customized via the downloadable software center. Users can tweak virtually every aspect of their mousing experience, including things like the vertical and horizontal movement sensitivity. It’s questionable how useful something like that would be in practice, but we still appreciate that it’s there. Overall, the Mionix Castor is another great gaming mouse from a company that gains more and more popularity with every product release. It really seems that Mionix could be the next king of high-performance gaming peripherals. It will be interesting to see if they can maintain the same level of quality with their future products. As it is now, we would definitely recommend the Castor to all demanding gamers out there. The only real negative is its higher price tag, but that’s something that comes with such a high quality.